A short but very sweet post from me today. I just wanted to take a moment to talk about Rosey of PNDandme and her amazing work, especially in regards to #pndhour. I wish so deeply that I could have joined this fabulous weekly Twitter chat when I was first unwell in April 2013. The online support I did find (primarily the PPD Chat Facebook page and the resources on Postpartum Progress) was so incredibly helpful to my recovery, but as both are US-based the time difference meant I was unable to join the Twitter chats. Recovering, and inspired to begin to blogging about my journey, I took to Twitter. Having always been a Facebook girl (and somewhat of a technophobe!) I was quite overwhelmed but it wasn’t long before my searches and timeline kept popping up with “#pndhour”. Curious, I visited Rosey’s website and had my first encounter with the people I would come to know as my #pndfamily. This weekly chat runs from 8-9pm GMT every Wednesday night and was created and is hosted by the courageous and beautiful Rosey. Rosey has experienced PND and antenatal depression herself three times and is one of the strongest survivors I’ve ever met. Each week there is a specific topic and Rosey does a fabulous job of keeping that topic front and centre, whilst never stifling the conversation and also allowing the chat to explore other important areas. Participants include a wonderful mix of PND/PNA/Postnatal Psychosis/PTSD survivors, fellow bloggers and mental health advocates, psychologists, midwives, health visitors, therapists and others with experience of or an interest in all areas of Perinatal Mental Illness. I feel blessed to be able to speak to such a wide range of strong, bright and passionate individuals about such an important issue every week. Even if all you do is watch, #pndhour can offer a huge amount of hope to anyone currently struggling. In addition to #pndhour, Rosey does so much more to raise awareness and help people who are struggling. Her recent campaign to raise money and materials for hope packs for Mother & Baby Units has been getting fantastic feedback. Not to mention #pndchat, which can be utilised by parents who are struggling any time they need to talk or get support. Tomorrow evening marks the 100th #pndhour. That’s 100 weeks of dedication from Rosey, and the other regular participants. She has built up a brilliant community and resource and I feel blessed to be able to participate in that. 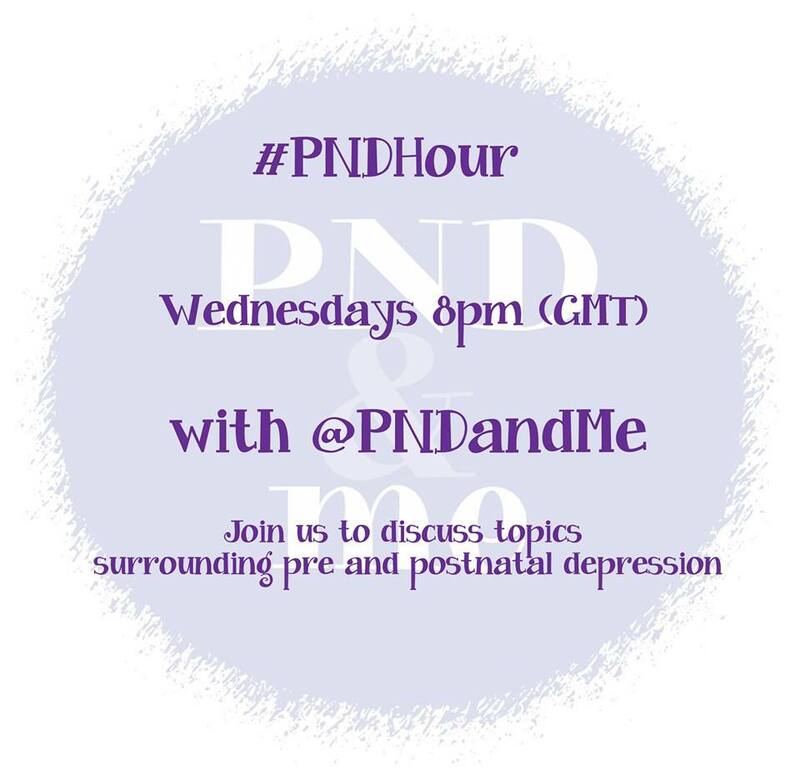 If you are struggling and would like some information or support please join us at #pndhour on Wednesday evenings or post to #pndchat any time. Rosey, you’re an inspiration. Keep up the brilliant work. Instructions for the technologically challenged like me – at 8pm on Wednesdays simply search #pndhour in your Twitter search bar to read posts, and add #pndhour to your own Tweets to join the conversation. There’s an anthology of alnitrateve history short stories called ONE LAMP. I haven’t read it, but I keep meaning to snap up a copy because I think that’s terribly clever.